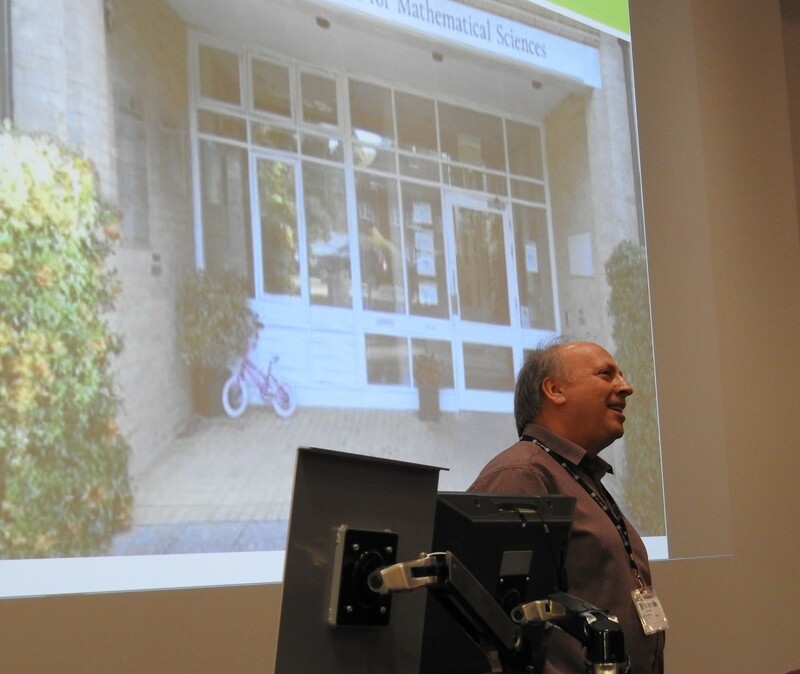 Day three of the 2017 British Applied Mathematics Colloquium took place on Wednesday 12 April at Surrey. The plenary speaker of the day was Ingrid Daubechies (Duke). In addition there were 20 parallel sessions with close to 100 talks. It was a big day for Surrey participants giving talks: Philip Aston, Michele Bartuccelli, Sean Cleator, Ying Huang, Naratip Santitissadeekorn, and Matt Turner all gave talks. Jan Gutowski organised a minisymposium on “Applications of String Theory“. During the closing remarks David Abrahams (Newton Institute, Cambridge), shown in the photo below, gave a talk on the Newton Institute.